Hunter & Richards offer Interior Design Services for new or existing residential spaces – from decoration and light refurbishment, to extensions and new buildings. Most projects are located in or close to Melbourne's inner South Eastern suburbs. A handful are in Greater Melbourne and Victoria, with select clients using our expertise interstate. Commercial clients range from small to medium sized workplaces, Aged Care facilities, and a variety of hand-picked, left-of-centre projects. "Our main focus is to collaborate with clients who lead busy lives and appreciate good design. They want style and comfort both at home and at work, and want to make the most of their inner city lifestyles." You will always work directly with Dominique or Antony. "Our solutions balance form with function — the poise with the practical — in a modern style that is built to last. " 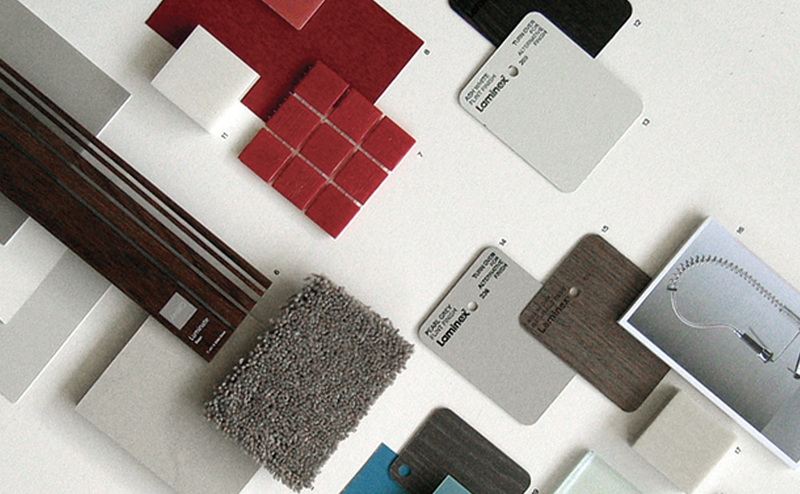 The best place to start with any interior design project is with discussion. Contact us today to start. To make significant changes to a space no matter the size, Hunter & Richards offer a Commission based service. Using a three stage process developed over 14 years, bespoke solutions are first conceptualised, then documented before being tendered for construction. During the construction phase, design integrity is carefully managed. After an initial consultation, a formal proposal outlines the Scope of Works and the Design Stages required, including a fee estimate. Most clients start with a ballpark total cost and time to complete their build – typically from $250,000 and up, and 6 or more months – and with open discussion your scope is tailored to fit your needs. Projects are kept on track with regular communication – your input, feedback and approvals are integral to the design process. For quick, commitment-free expert advice on a space, Hunter & Richards offers a Design Consultation Service. You’ll get on-the-spot advice and personal attention from Dominique Hunter, whose guidance and recommendations will clarify and organise your ideas, giving your project direction and coordination. Soon after your consultation, you can expect to receive items like custom sketches, shopping lists, direct referrals, paint swatches and material samples. Once implemented, many people discover just how effective Dominique’s advice can be. Design Consultation is generally an hourly rate service. Half day and Full Day rates are also available. Time estimates are always provided and approved before any work commences. Using the right blend of services across three design stages ensures a tailored approach to all projects – large or small.